BOSMR1306UA - BOSS AUDIO MR1306UA Marine Single-DIN Mechless Receiver by Unknown at Breezin Thru Charters. MPN: MR1306UA. Hurry! Limited time offer. Offer valid only while supplies last. 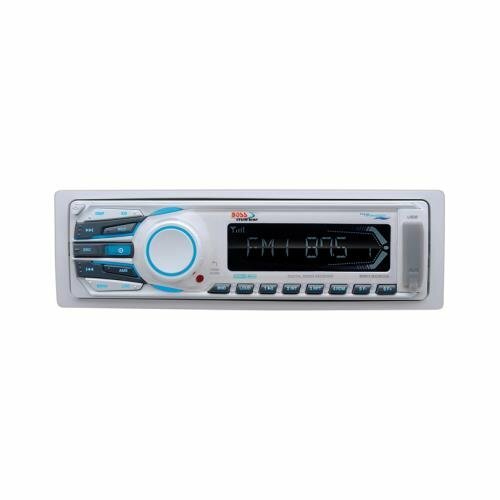 The Marine Single-DIN Mechless Receiver by Boss Audio features a detachable front panel, AM FM tuner, aux input, 4 speaker outputs and a USB port. The Marine Single-DIN Mechless Receiver by Boss Audio features a detachable front panel, AM FM tuner, aux input, 4 speaker outputs and a USB port. Includes remote and is SD TM Card compatible.